What Are the Benefits of Mastic Gum? Mastic is a sticky substance derived from the Pistacia lentiscus tree, also called Chios mastic. This tree grows naturally in North Africa and countries on the eastern side of the Mediterranean sea. As a supplement, mastic is available in capsules or can be chewed as a gum. Consult a qualified health care provider before using mastic gum as an herbal remedy. People have traditionally chewed mastic gum to relieve digestive upset, according to physician and medical writer, Dr. Andrew Weil. It may ease gastritis and upset stomach, and decrease inflammation in the gastrointestinal tract. Some supplements for treating heartburn include mastic gum, often combined with deglycyrrhizinated licorice, known as DGL. A chronic bacterial infection by Helicobacter pylori is a common cause of stomach and intestinal ulcers. A study published in the March 2010 issue of "Phytomedicine" evaluated the effects of mastic gum on people with H. pylori infection. Fifty-two participants took pure mastic gum, pure mastic gum plus the ulcer medication pantoprazole for 14 days, or pantoprazole plus antibiotics for 10 days. No one in the pantoprazole group experienced elimination of the H. pylori bacteria, while 10 of the 13 individuals taking antibiotics did. Five of 13 participants taking mastic gum and 5 of 13 taking mastic gum plus pantoprazole also experienced eradication of the bacteria. The study indicated that mastic gum has antibacterial activity against H. pylori that is not only effective in the laboratory but in humans as well. A study published in the February 7, 2007 issue of the "World Journal of Gastroenterology" researched the efficacy of mastic supplements on people with mild to moderately active Crohn's disease, a type of inflammatory bowel disease. These individuals experienced significant decreases in symptoms and inflammatory markers in plasma after taking mastic for four weeks. Mastic appears to have cholesterol-lowering effects, as indicated by a study published in the April 20, 2007 issue of the "Journal of Ethnopharmacology." The researchers did monthly blood tests on participants over 18 months. Participants taking 5g of mastic daily experienced a reduction in low-density lipoprotein cholesterol, the so-called bad cholesterol, as well as in total cholesterol levels. The "Journal of Ethnopharmacology" study also found liver protective effects associated with mastic. Blood tests of participants taking 5g of mastic daily showed decreased levels of certain liver enzymes compared to initial levels, an indicator of better liver health. Mastic gum is a breath freshener and may help prevent cavities, because it kills bacteria that cause these problems, according to physician Tieraona Low Dog of the Arizona Center for Integrative Medicine, speaking with the center's program director, physician Andrew Weil. For this reason, some toothpastes and mouthwashes contain mastic gum. 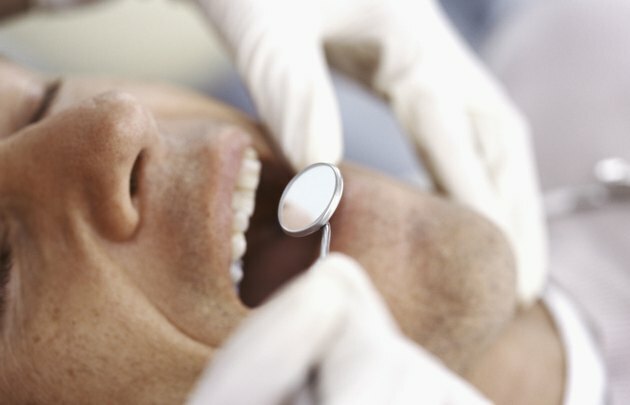 Research published in the June 2006 issue of the "Archives of Oral Biology" notes that the bacterium Streptococcus mutans is a main cause of dental cavities. Study participants who chewed mastic gum had saliva samples with significantly lower levels of this bacteria compared with people chewing paraffin. Andrew Weil, M.D. : Medicate with Mastic Gum?